The organizers said regular exercise and maintaining an active lifestyle can have multiple benefits, such as improving a person's mental and emotional health. 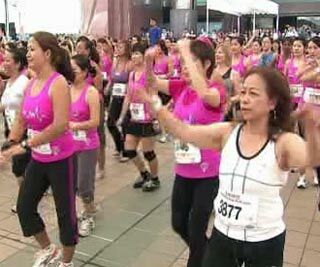 With more women leading busy lives, organizers hope to remind them that exercise is not a waste of time, but "a tool to achieve greater things in life". It was truly a monumental occasion as these women from different generations and various walks of life gathered together to inspire women across the world and celebrate their achievements.